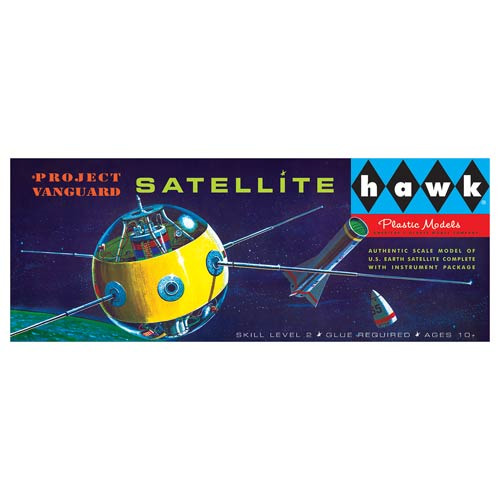 If you're into the early days of the United States space program and the race with the Soviet Union, or you're a collector of rockets, satellites, and the like, you're going to want to build and display this Vanguard Satellite Model Kit from Round 2. It's awesome! Glue and paint required (Not Included). Ages 10 and up.